After examining the results of part one, researchers studied the effect of implementing a flipped classroom format for a brand new course. 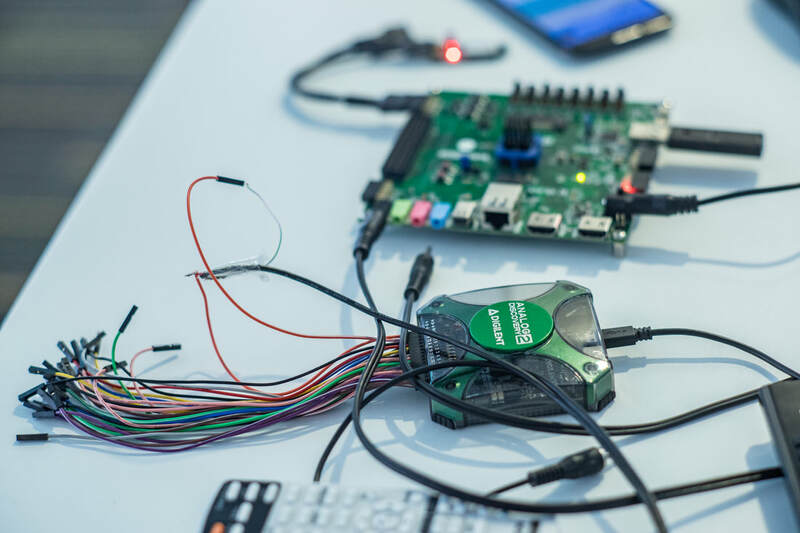 The new course was called “Introduction to Electrical, Computer, and Systems Engineering,” and was intended for ECE majors only. The study took place over fall 2015 and spring 2016, and the instructor was experienced in teaching this material in a flipped classroom format. 92% of students participating in the study were male, 41% were White, 37% were Asian, 15% were from a different minority group, and 56% spoke English as their primary language. A total of 52 students participated in the study, most of whom were in their first year and were majoring in electrical engineering or computer engineering. 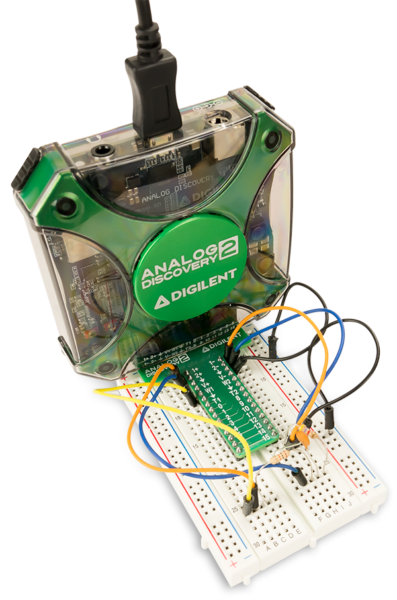 Researchers noted that the flexibility of the Analog Discovery 2 allowed students to work with them in groups or on their own, outside of the classroom ten or more times per semester. 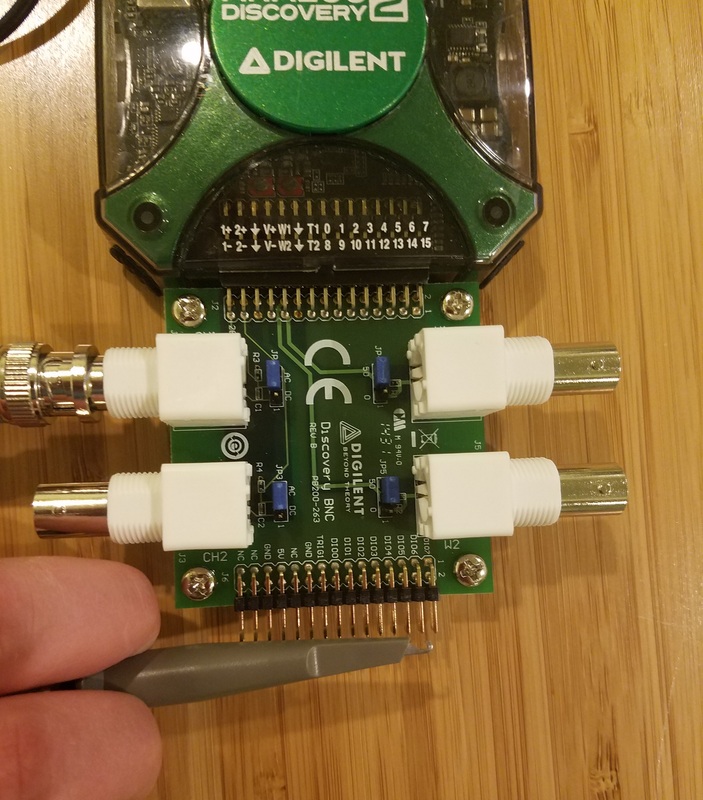 Researchers also noted that in the beginning of the semester, students asked many “how” questions, but as use of the Analog Discovery 2 increased, students asked fewer “how” questions, and more “why” questions. As the course went on, students desired more “tinkering” time, and less lecture time. 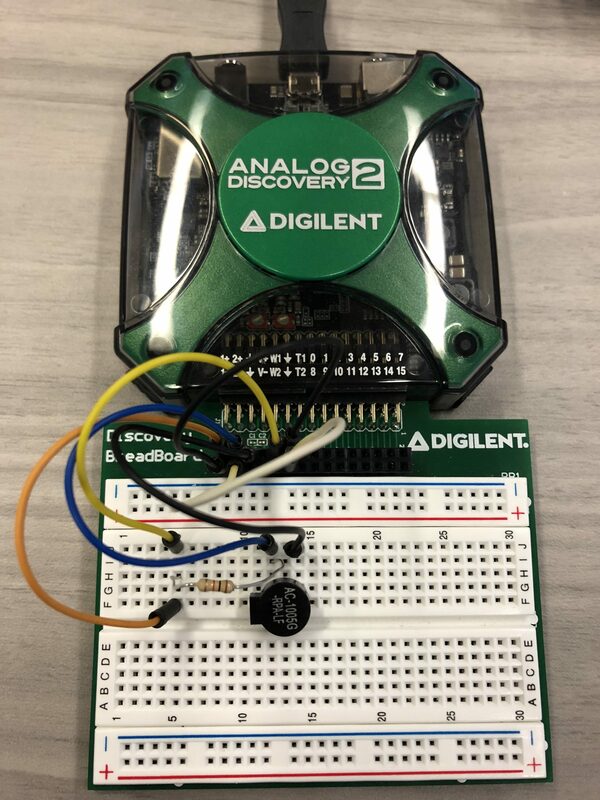 Pre-requisites to learning: Just like in part one, students experienced an increase in confidence as their use of Analog Discovery 2 increased. 82% reported increased confidence in their ability to learn general content. 84% felt that using the Analog Discovery 2 increased their feeling that experimental problem-solving is important. 64% noticed an increase in motivation, 61% noticed an increase in their interest, and 66% experienced an increase in their confidence to complete assignments. Intermediate Learning: 97% of students felt that experimental learning increased their knowledge, and 87% felt that it helped them understand the practical application of AC/DC circuits. 76% felt that use of the Analog Discovery 2 helped develop their problem solving skills, and helped them think in graphical/pictorial ways. Researchers found that the instructor’s previous experience working with flipped classrooms was vital for the success of this course. The department’s experience with flipping other classes was also very helpful for this course. Support from the institution and from other faculty members was seen as very important for the successful implementation of experimental learning. Researchers discovered that the students participating in this study tended to sort themselves into four distinct group types when working together on projects and assignments. Because of this, instructors need to be prepared to recognize, and work with each group type, and must be able to assist students who find themselves members of a group that does not match their learning style. 1) The “traditional partnership” – This group takes place 10% of the time, and is marked by an autocratic leader. In this group style, the leader takes charge of all the work and all the decision making, leaving the other members of the group almost completely excluded, whether they’d like to be or not. 2) The “formal partnership” – This group takes place 20% of the time, and is characterized by directive leadership, where a leader takes charge of the group and delegates tasks to the other team members. Members of this group do not turn to each other for assistance, and once tasks are completed, the leader organizes all the work into a cohesive project. 3) The “assigned task partnership,” This group takes place 30% of the time, and is characterized by a very cooperative group dynamic. In this group, leadership is shared and tasks are delegated by the group as a whole. Members will help each other and offer encouragement, and a leader usually emerges naturally over time. 4) The “collaborative partnership.” This group occurs 40% of the time, and has no single leader, and tasks are often shifted between members. Members are highly communicative and helpful with each other, frequently checking each other’s work and taking turns with different leadership roles. This group will often discuss results with other groups, and work together outside of class. The drawbacks of this type of group is that they often have trouble with efficiency and moving forward with the assignment/project. Overall, researchers found that a majority of students believe that they will need to develop skills to work well as a member of a team in order to be desirable to future employers. Despite the importance of teamwork, only 57% of students reported feeling comfortable with their partner, and only 54% felt supported by their group. This may indicate that professors and TAs need to better support students as they work in their different group types, and also better express the importance of developing the ability to work well in groups. As the world of technology continues to evolve, so too must our way of educating students. “The emphasis in today’s STEM classroom is no longer on learning facts but on learning how to obtain and work with facts across many different settings.” According to the research presented above, “students in STEM classes are now expected to be co-creators of knowledge and solutions.” Simply studying the material is not enough, students must be problem-solvers and innovators. “The use of hands-on experimental learning, the ability to problem solve, and the need to work in groups have been identified as key constructs within 21st Century STEM learning.” With the flexibility, portability, and affordability of Analog Discovery 2, more students now have access to this type of learning than ever before. The paper concludes that there needs to be more research into the long-term effects of hands-on experimental learning in flipped classrooms, but the results so far are promising. The use of Analog Discovery 2 to support experimental learning in flipped classrooms continues to yield positive results for student learning outcomes.